GenApp downloads to your mobile phone and allows manual recording of service events with over 10 service templates. And the desktop version allows for analytics and reporting. GenApp Monitor is an on-board device that continuously monitors and logs key generator conditions. Data uploads using the mobile app or by wi-fi or cellular to the cloud database for remote monitoring. GenApp Onsite Fuel Services performs fuel cleaning and tank top-off for stand-alone generators. Compact gear allows our techs to access generator in-on-around buildings for fast efficient service. Lower Costs with Smart Fuel Modules: Earthsafe Fuel Transfer and Control Products are designed for Extreme Flexibility. The products allow for a vast range of solutions in configuring reliable fuel systems for generators. These are the most popular products used by engineers and fuel specialists. Integrated Systems for Generator DEF Urea. Includes Stainless Insulated Tanks, DEF Tank Fill Systems, DEF Urea Pumps and Filters, DEF Urea Heating and Cooling Systems. See our New Design Guide for details on how to make highly releiabe DEF Urea systems specialized for generator applications. 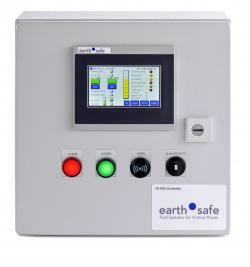 Easy Network Setup for Integration: Earthsafe Controls manage reliable fuel supply to generators in critical applications. Controllers are network ready for application to critical fuel supply in data centers, hospitals, security, and communication facilities. 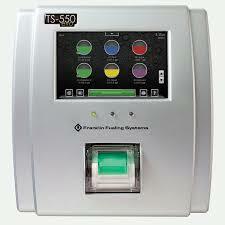 They are also used for critical life safety generator applications in multi-story urban buildings. 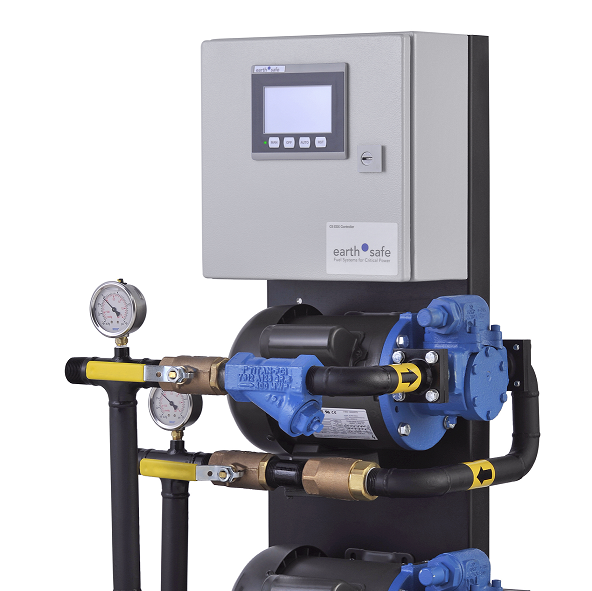 Earthsafe designs and builds Specialty Fluid Systems for the Environment and Infrastructure. Systems expertise includes: Tank Farm Integration, Dispensing for Railroad and Aircraft, Fuel for Automotive Test and Development.